Rotherham United welcome Leeds United for this Yorkshire derby at the New York Stadium. The Millers, who are just one place above the bottom three, lost their last home game to Brentford by four goals to two. 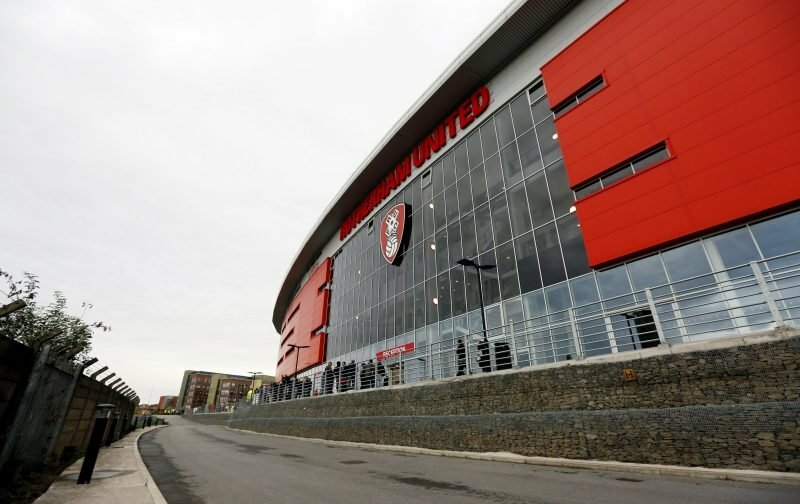 Sitting pretty in top spot Leeds’ last away game ended in defeat at the Bet365 Stadium losing two-one to Stoke City. Rotherham go into this game suffering from injuries and sickness. Definitely out is Ryan Williams and only rated fifty/fifty are Semi Ajayi and Clark Robertson while new boy Matt Crooks has a sore groin. Richie Towell and Matt Palmer have both been suffering with stomach bugs and while Kyle Vassell came off the subs bench last weekend he’s nowhere near one hundred per cent fit. Long term injured Darren Potter and Jamie Proctor are still just that with Joe Newell also missing due to injury. So, it could well be a case of ‘if you’re fit you’re in the squad’. Leeds United Head Coach Marcelo Bielsa told Leeds Official Site that Leeds have a different style to Rotherham who usually play long ball and rely on set-pieces and long throws into the box, but one style isn’t better than the other. We are expecting Leeds to give a debut to Spanish goalkeeper Kiko Casilla who recently arrived from Read Madrid. Stuart Dallas and Barry Douglas are fit again but probably won’t be risked this afternoon while Patrick Bamford, Gaetano Beradi and former Millers loanee Izzy Brown are also doubts. The Whites have Kalvin Phillips back from suspension and he will probably go straight into the starting eleven. The referee this afternoon is Tim Robinson of West Sussex. There will be a Minutes Silence at the New York Stadium before tomorrow’s game for respect to Emiliano Sala, of Cardiff City, and David Ibbotson who are been missing since Monday night with the search being called off on Thursday – our thoughts are with their families and friends.